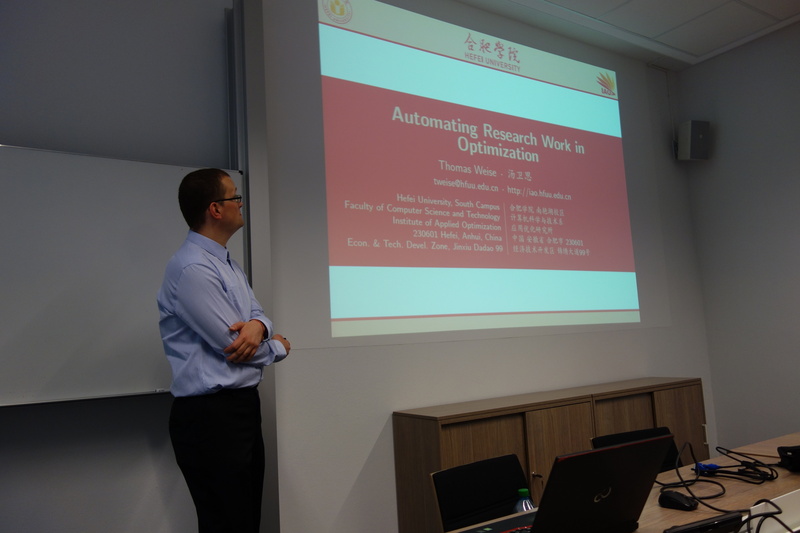 On July 25, 2017, I gave my research talk on Automating Scientific Research in Optimization at the Simulation and Optimal Processes Group of Prof. Dr. Pu Li [李浦]. 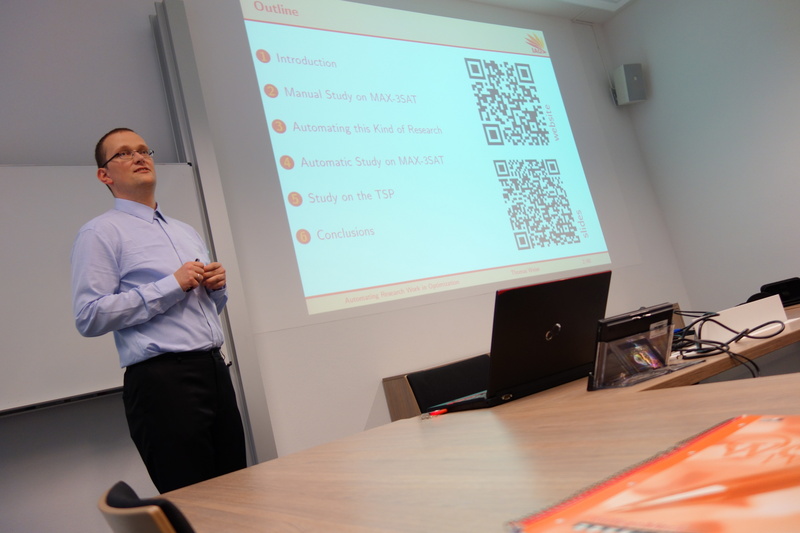 at the Institute for Automation and Systems Engineering, Department of Computer Science and Automation at the Technische Universität Ilmenau (TU Ilmenau) in Ilmenau, Germany. The group contributes both fundamental as well as applied research. In terms of the former, they focus on the dynamic optimization of large systems, optimization under uncertainties, real-time optimization, and non-linear model-driven control. They apply their researcher to energy systems, autonomous driving, water management, systems biology, and process engineering. 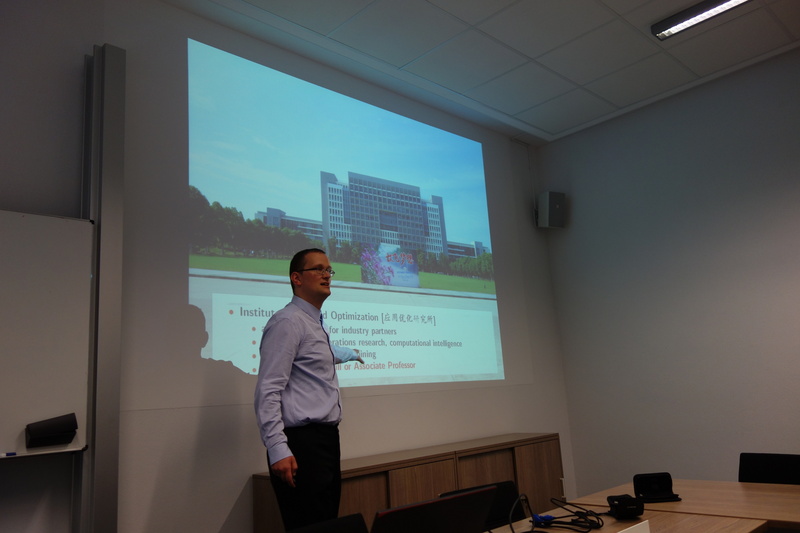 What is fascinating about this research group is that they combine several research fields of applied optimization which will have a huge future: The work on energy and water network optimization is directly relevant to the immediate challenges our society faces in the next few decades. Global warming causes problems with water supply and trying to reduce global warming means that we need to change and improve our way of obtaining, transmitting, and using (renewable) energy. Autonomous driving, on the other hand, is one of the trends which will change transportation and traffic significantly. Trying to optimize any complex real-world system, be it a energy or water network, the production lines in a factory or the logistics of an enterprise cannot be done efficiently without dealing with uncertainties since we make plans for the future but can never know the future exactly. Optimization of complex systems or of engineering designs often requires simulations. 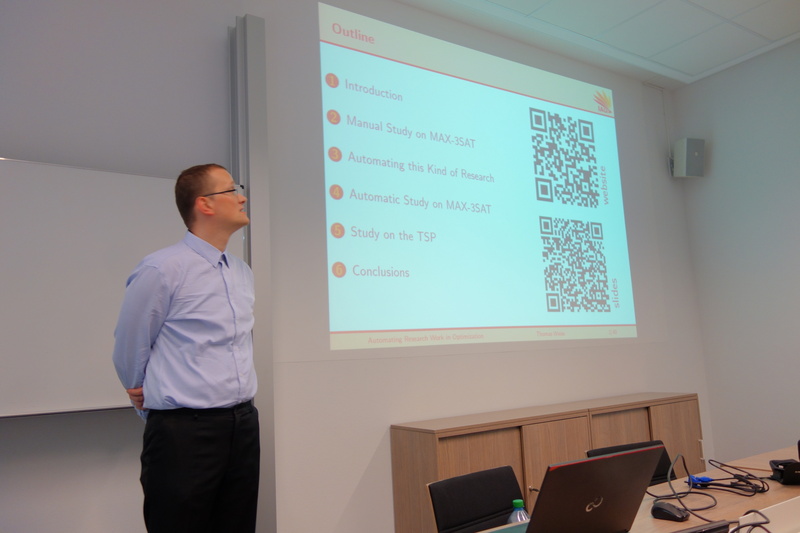 I am thankful for the chance to present at this strong research group and to Prof. Li for arranging my talk. It definitely was a very nice meeting. Due to the rainy weather, I did not shoot a photo of the Uni Ilmenau, but here is a gallery of it and the building of Prof. Li's group looks like this.